LOS ANGELES – Michael Feinstein knows that "Love Is Here to Stay" is an enchanting song with a sad story, its lyrics a tribute from Ira Gershwin to his brother and musical partner, George, who died at age 38. It's the sort of tidbit that Feinstein tosses off as deftly as he performs the tunes of the Gershwins, Irving Berlin, Cole Porter and other composers whose work collectively is known as the "Great American Songbook." That makes him an ideal tour guide to the music, as demonstrated in PBS' three-part series, "Michael Feinstein's American Songbook," which debuts this week and airs on consecutive Wednesdays (check local listings for times). The program documents Feinstein's role as an artist as well as historian and protector, searching out and preserving rare recordings, sheet music and anything else he can get his hands on related to the classic music he loves and those who performed it. Frank Sinatra, Rosemary Clooney, Nat "King" Cole, Ethel Waters and Margaret Whiting are among the vocalists celebrated in the series, even as singer-pianist Feinstein (a five-time Grammy nominee) demonstrates his own impeccable grasp of why the songs endure. Feinstein is the "perfect conduit for a series about popular American music. You just hitch a ride with him as he goes through his life," said producer and director Amber Edwards. "He really does spend every waking moment of his life involved in music in some way." The series' focus is on "what we call the golden age," Feinstein said, roughly from the early to the mid-20th century. 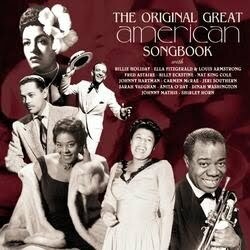 But his definition of the American songbook is elastic enough to include relatively recent composers or those from abroad, and he cites such respective examples as Burt Bacharach and the Beatles. "Anything that resonated with the American populace and affected and changed our lives is part of the fabric" of the songbook, said Feinstein. The series' first episode, "Putting on the Tailfins," explores the 1950s and 1960s conflict between classic songs and the rock 'n' roll newcomers. Feinstein, shown in performance with a big band, orchestra and jazz combo, explains how Sinatra and others reinvented pop standards for changing tastes. "Best Band in the Land," the second chapter, focuses on the morale-building role of music during World War II and the 1940s big bands that played it. "A New Step Every Day," about the jazz age and the rise of movies, radio and the recording industry in the 1920s and 1930s, concludes the series. Feinstein's soul mates — the other passionate collectors and musicians keeping the era's spirit alive — are featured in the episode. The series also provides a view of Feinstein's borderline frenetic life, which his New York City cabaret as well as a busy tour schedule and unending search for memorabilia. His personal life is briefly sketched in scenes with his parents, Ed and Mazie Feinstein, and his partner, Terrence Flannery. There isn't much in today's popular music that he admires, said Feinstein, who saw genius firsthand when he worked for Ira Gershwin in the final years of the lyricist's life. But good music is being created and someday may be appreciated widely, Feinstein said. "There's a lot of people who are working in New York and on Broadway and writing songs that are heard in clubs that are not being heard mainstream," he said. "And the thing that's amazing about a song is that you never know how or when it's going to get picked up. Something may be created where suddenly it has a life years after it's written." That's reason for hope, which for Feinstein, 54, is buoyed by the Internet.